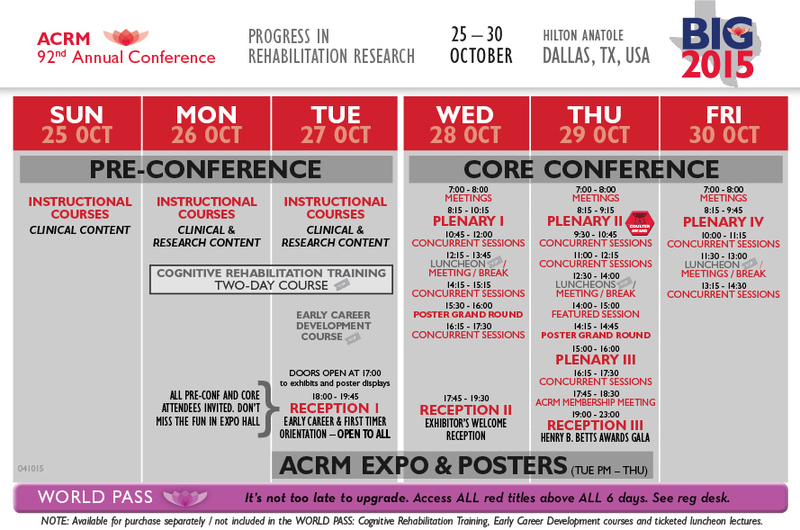 Offering 4 days of high-caliber, continuous educational content for measurement, the ACRM 92nd Annual Conference, Progress in Rehabilitation Research (PIRR) is the #1 conference in the world for rehabilitation research. For complete MEASUREMENT programming and gobs of details (including presenters, session descriptions and schedules) see the CONFERENCE APP. Attend the Measurement Networking Group to learn about their work related to the development, application, evaluation, and utilization of outcome measures. 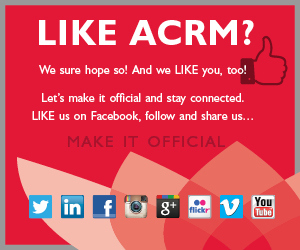 It’s a great opportunity to network and collaborate with colleagues who share your interests. Open to all. 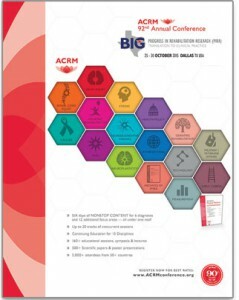 See the complete schedule of ACRM ISIG , networking group, and task force meetings and get involved. 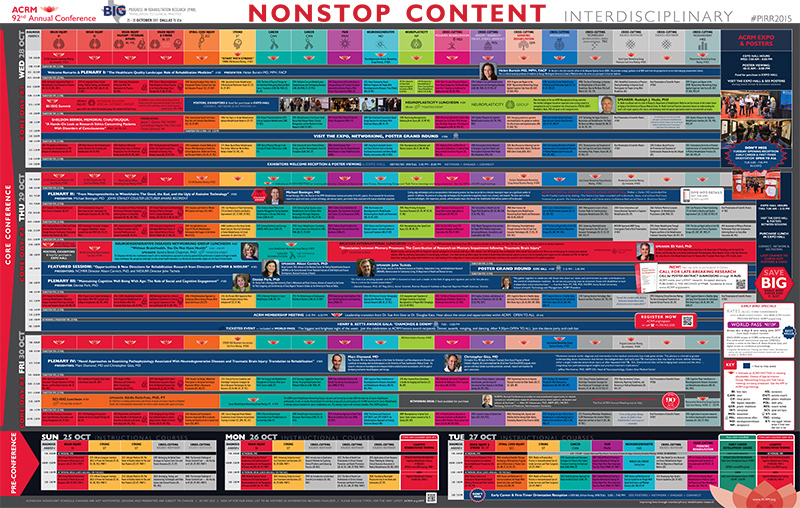 Here is just a sample of the outstanding content that awaits for outcomes measurement. Download the Conference APP to mobile device or desktop for complete details of all sessions. Search by keyword, presenter, track, session ID, or time. The Inpatient Rehabilitation Facility Quality Reporting Program began data collection in 2012. Currently, there are 7 quality measures finalized in the IRF QRP, including several IRF-acquired infections, and a post IRF discharge readmission measure. 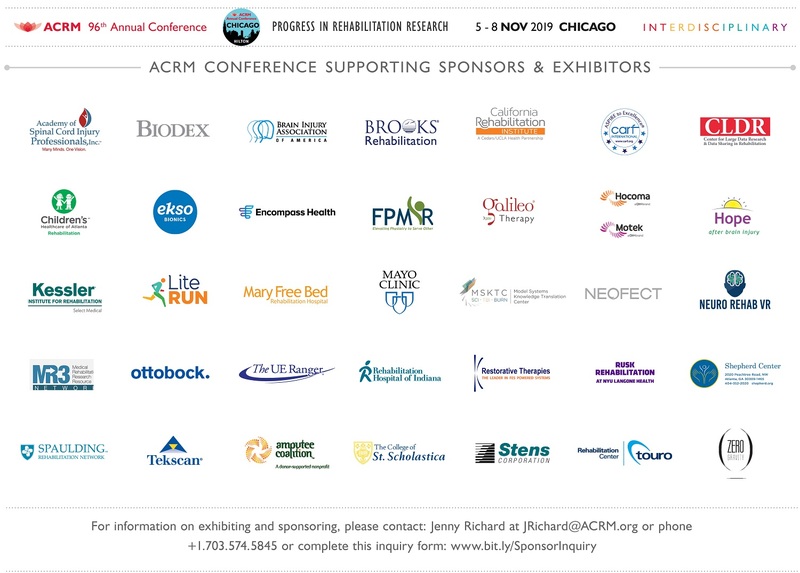 This symposium will describe the process of developing quality measures and describe: 1) analyses involved in developing the post IRF discharge readmission quality measure and 2) research examining the development of quality measures using patient-reported data. The lack of rehabilitation specific measures hampers QI in the field. 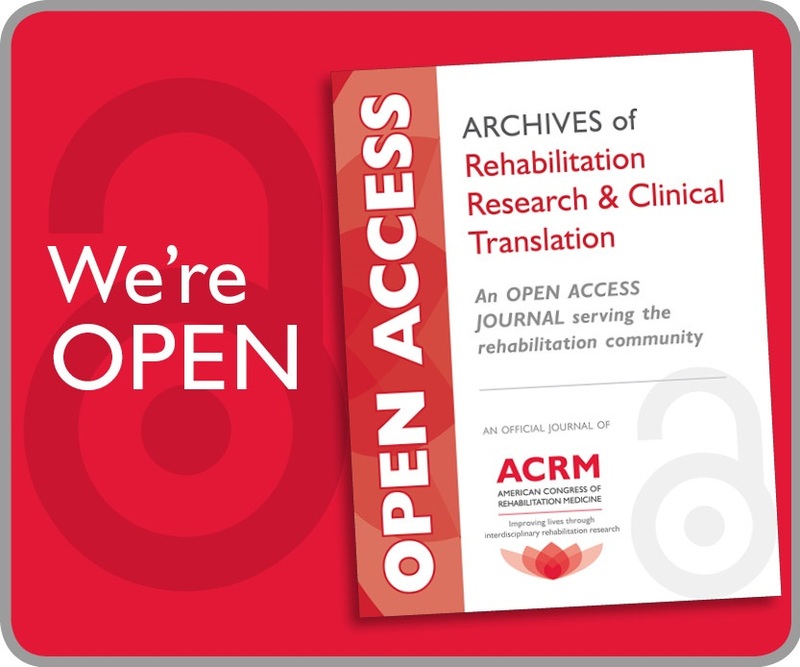 In this symposium we examine team functioning (TF) measures as process indicators, building on our experience of modeling and studying TF in stroke rehabilitation. A recent exploratory analysis of data from a national clinical trial found that TF measures tracked key patient outcomes consistent with a theoretical model of team effectiveness. These findings will be critiqued followed by an interactive discussion on the potential utility of TF measures and future research. The diagnosis of concussion can be challenging and elusive at times due to the significant reliance on history and patient report, with objective exam findings sometimes absent. For individuals who have a prolonged recovery or develop post-concussive syndrome, it is often difficult to distinguish symptoms related to pre-existing or co-morbid conditions from those attributable to concussion. Vision, balance, and vestibular function are frequently impacted by concussion and measurement of these systems shows promise for providing an objective, non-invasive means of identifying biomarkers for the diagnosis of concussion while providing targets for rehabilitation. OutcomeInfo is a web-based database system, developed through NIH Small Business Technology Transfer (STTR) funding, for monitoring progress and outcomes in post-inpatient programs primarily with the Mayo-Portland Adaptability Inventory (MPAI-4). 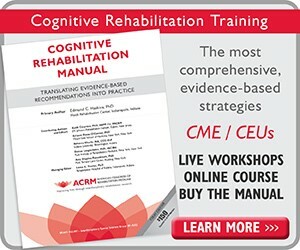 Analyses of outcomes and methods will be presented for intensive post-inpatient brain injury (BI) residential and outpatient/community-based rehabilitation programs in contrast to supportive living programs for almost 3000 individuals living with BI throughout the U.S. represented in the OutcomeInfo database. A multidisciplinary panel will describe (1) the OutcomeInfo database system, (2) key features of major program types, and (3) outcomes and participant characteristics for each program type.